The sparkling Giulietta Masina: actress of the heart and mind; as funny, grave, and profound as Chaplin. This final scene from Fellini’s masterpiece Nights of Cabiria (1957) captures her singular genius and never ceases to inspire me. The unsinkable heroine—brave, brave, always onwards—roams the streets dreaming of a wonderful life but consistently finding heartbreak. Still she continues, a part of her rallying beyond limits, beyond herself, finally smiling through her tears. As a teenager, I was drawn to boys with more than average melancholy. There were boys who drank tequila and listened to the blues and boys who engaged in petty crime and wept about their fathers. There were boys who made me mixed tapes of polyrhythmic African music but otherwise wallowed in almost catatonic sadness. The hale and effervescent did not attract me. If I happened to find myself with someone happy and obviously together, I would attempt to induct them into the cult of sad love by lending them my copy of “The Lover”. Beyond titillation, I don’t know what a cheerful high-school football player is to make of an adolescent girl in French Indochina embarking on an affair with a wealthy Chinese man. 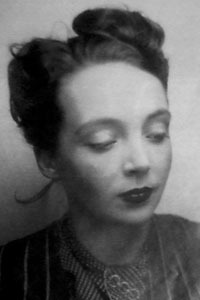 But what I learned from Duras and her fallen world was that there was grandeur and satisfaction to unhappiness. Looking back, I find the melancholy of my teenage years easy to satirize (all those pensively smoked Gitanes!). Depression often teeters on the edge of absurdity. But now when I reread “The Lover”, I know in some ways I haven’t grown up at all. This mournful and languidly obsessive book still makes me feel elated. I realize that the idea of endlessly revisiting a book is foreign to many people. It certainly runs against the grain of our acquisitive, accumulative, time-strapped culture. I mean, really, who has time to re-read? I barely have enough time for a first-run. In fact, lately I seem to have developed a Sisyphean relationship to my night-table. The more I read, the more the list of books I haven’t read and want to read keep growing. And never mind the night-table, beyond that there is an endless mountain chain, infinite towering stacks of great books I will never scale, and not for any lack of desire. Should I pull out my copy of Austerlitz and enter its hypnotic spiral once again and more deeply, or should I sink into As I Lay Dying and finally try to figure out how it really works, or should I just move on? I should probably move on…and yet I can’t completely. So I re-read. I re-read books to my children and I re-read books for myself (John Berger’s And Our Faces, My Heart, Brief as Photos, Marilynne Robinson’s Housekeeping, Anne Carson’s Autobiography of Red, Virginia Woolf’s Moments of Being, and Rebecca Solnit’s A Field Guide to Getting Lost…) My children also re-read on their own—constantly going back, poring over Lemony Snicket, Osamu Tezuka, or Charles Schultz. There is a small part of me that thinks the greatest enjoyment would be to read a handful of books over and over again. 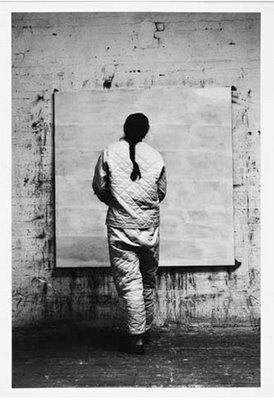 I think it would satisfy me the way it satisfies me to indulge my same-song listening needs and the way it gratifies me to stare and stare at Agnes Martin’s work. Sometimes a repeat reading is for understanding more and sometimes it is just for letting the words or lines wash over you. I believe in re-reading as a gesture of self-willed mesmerism. I turn to certain books again and again because I know they will act on me. My chemistry will combine with the words or images and create a distinctive mood. My best beloved books whisk me away from the denotative into the connotative realm. There are endless great books but only a few consistently offer me a reliably charged field in which to wander and dream.